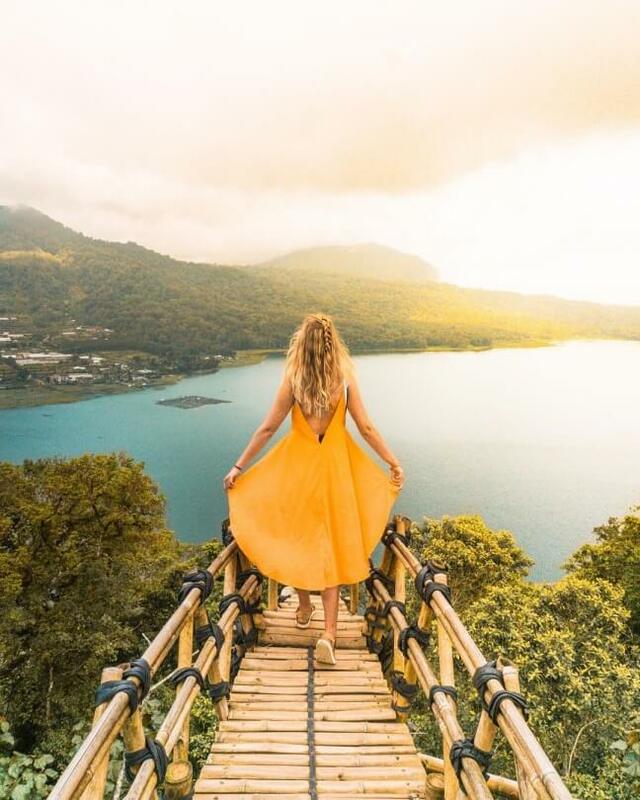 Bali is well known for its paradise looking coastline, incredible waterfalls, and rice paddies. The mountain areas are often explored but staying there is what most people would skip. 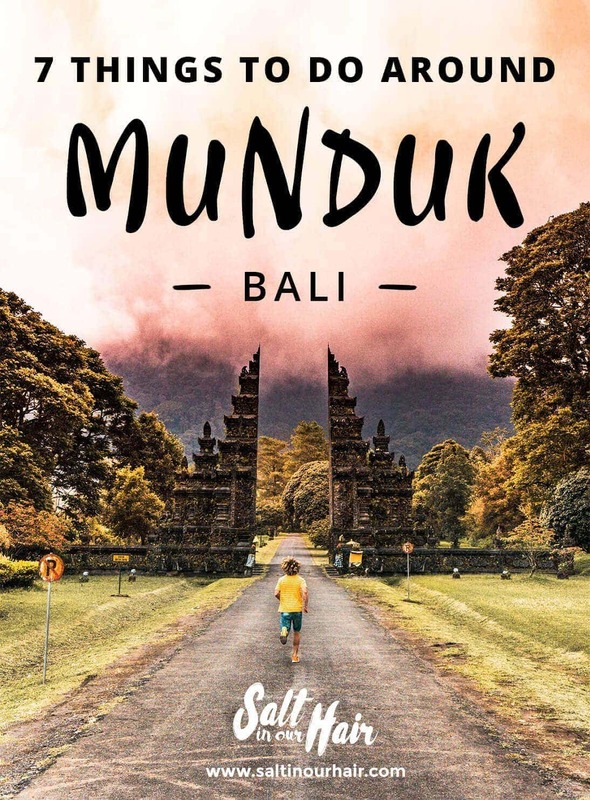 If you want to experience the countryside and it’s hidden gems than finding out about the things to do in Munduk, Bali. There are two waterfalls located in the Munduk area. The Banyumala Twin Waterfall and Munduk Waterfall are just a 30-min drive away from each other. 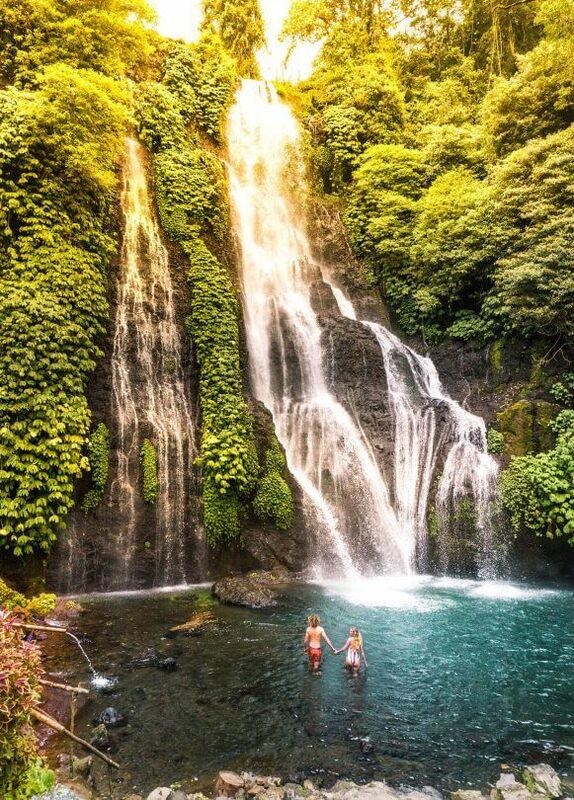 Just outside Munduk are even more waterfalls which can all be visited via this Bali Waterfall Route. Twin Lake is surrounded by mountains with little cafe’s who created their own viewpoint. There are so many that you won’t be able to visit them all in one day. 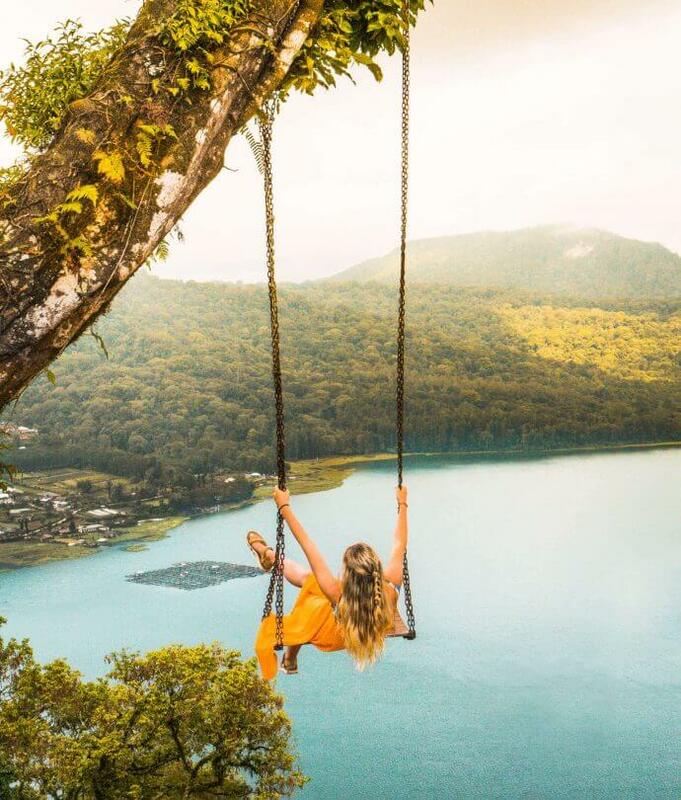 There are a few cool ones which are a bamboo lookout point or a swing overlooking the lake. The swing is called Wanagiri swing. 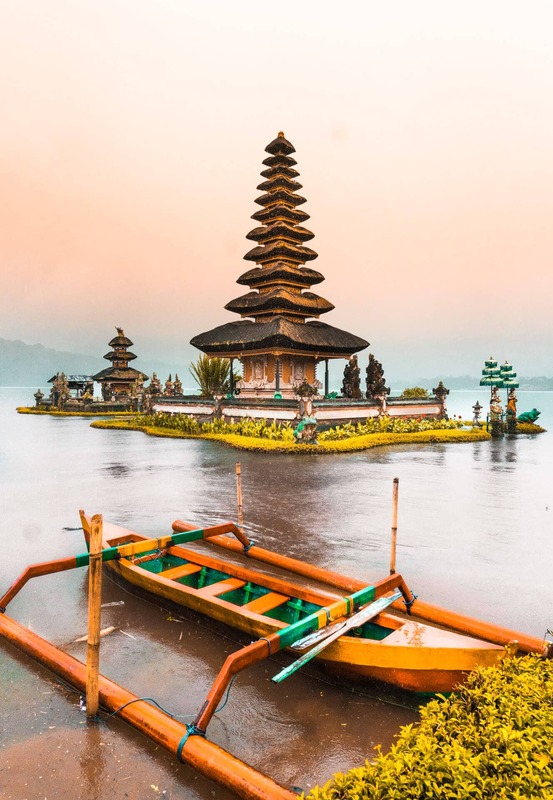 This temple complex, called Temple Pura Ulun Danu Bratan, is built at the Tamblingan Lake. The temple and lake are surrounded by mountains scenery which makes it super picturesque. Watch the praying ceremony, see local costumes and enjoy the picturesque place. 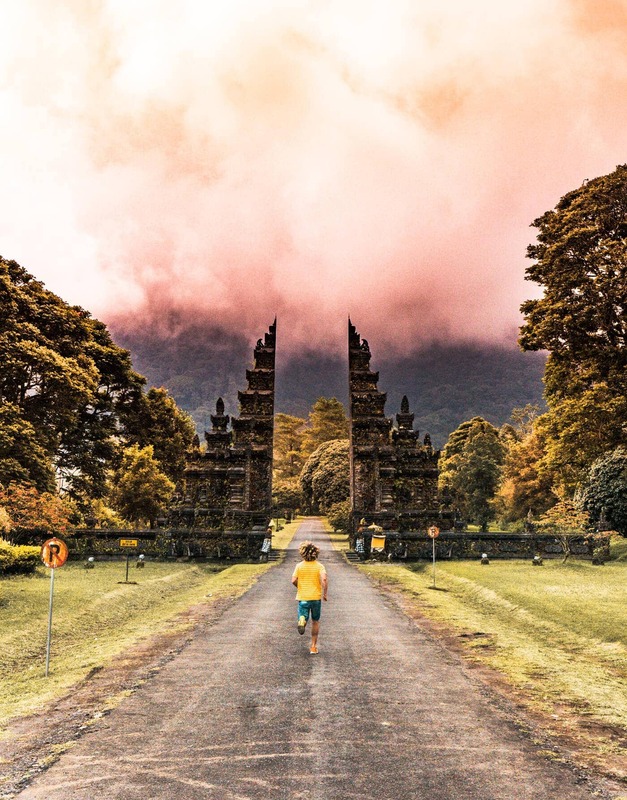 More than a beautiful site, this temple is one of the most famous temples of Bali. The golf course gate is a cool looking entrance to the golf course. Loads of people stop when passing by because of the impressive mountain backdrop which makes it look extra cool. The golf course is located here. The mountain areas of Bali are perfect for cooling down because of the great temperature. With this climate people are growing loads of vegetables. The thing that surprised us the most is that villages like Munduk are filled with coffee plantations. So during your tours or hikes make sure to stop at one of those plantations or cafe’s and taste the Munduk Coffee, it’s the best coffee on the island. Combine the all the things to do in one trekking! Munduk trekkings are the most popular activity in the area. Pass beautiful rice fields, see coffee and clove plantation, discover hidden places and visit the waterfalls. In Munduk we were invited to stay a few days in Munduk Moding Plantation, which is a hotel in Munduk. It’s a beautiful hotel with an incredible bedroom view over the mountains and plantation. In their garden they grow all kind of vegetables and herbs, you need a full morning to explore the whole area. Munduk is a bit dislocated from the usual tourist routes. 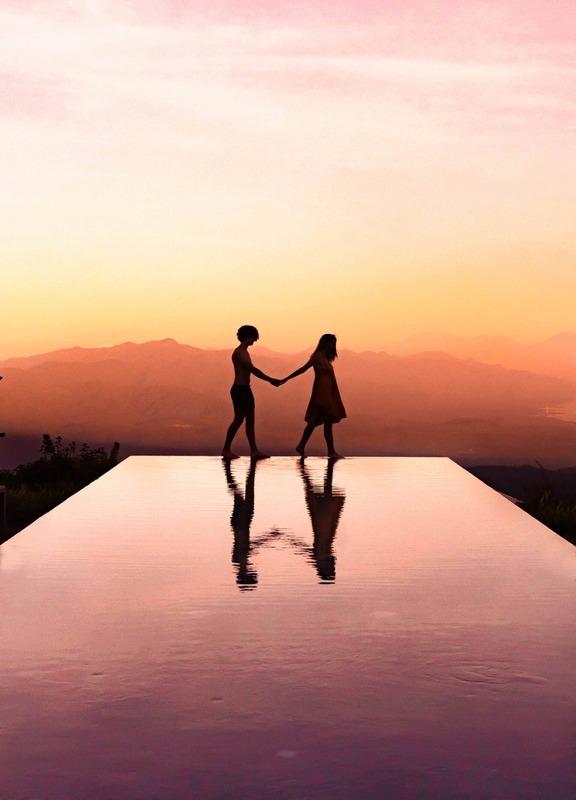 You can get there from Ubud or Canggu in a two-hour drive up in the mountains. The climate in the Munduk area is cooler than near the coastline, around 22 Celsius. On a daily base, rain and clouds came in from 1 PM to 5 PM. They can grow all kinds of vegetables and flowers because of this weather. Starting at $13 dollar a night! Starting at $30 a night including a pool!